If you need help with a flat tyre right now, call Roadside Assistance - here's how. If you get a flat tyre during a trip, roadside assistance can come and change the tyre. Once you're back on the road, the flat tyre will need to be repaired or replaced as soon as possible. You're responsible for this, as the flat tyre occurred while you had the car. Contact the Owner directly to let them know what happened and ask how they would like to get the tyre fixed. They may have a preferred brand or supplier they would like you to use, or they might be happy to arrange the repairs themselves and be reimbursed. The Owner can arrange for a mobile tyre changer to repair or replace the tyre, however it's usually much cheaper for you to organise it yourself at a tyre shop (make sure you've contacted the owner first). If the Owner agrees, you can contact RoadRunner to organise a mobile puncture repair or replacement. 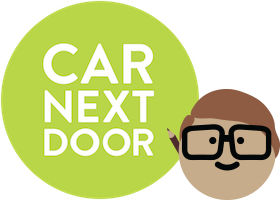 Call them on 1800 786 637 and mention that you're a Car Next Door member for a discount. In these situations, it's quickest and easiest if the Owner and Borrower come to a resolution directly, but if that proves difficult, we're here to help. If you can't get in touch with the owner or are struggling to resolve the issue with them, let us know. How do I call roadside assistance (in case of breakdown, flat battery, flat tyre, etc)? What if I damage or lose the lockbox? I got a message that the car's battery is losing voltage - what should I do?